Longboarding Blog: For Lincoln and for Lovers: An Upcoming Yard Sale! For Lincoln and for Lovers: An Upcoming Yard Sale! How do you do, rippers? We've got ourselves another in-house Yard Sale this coming weekend! 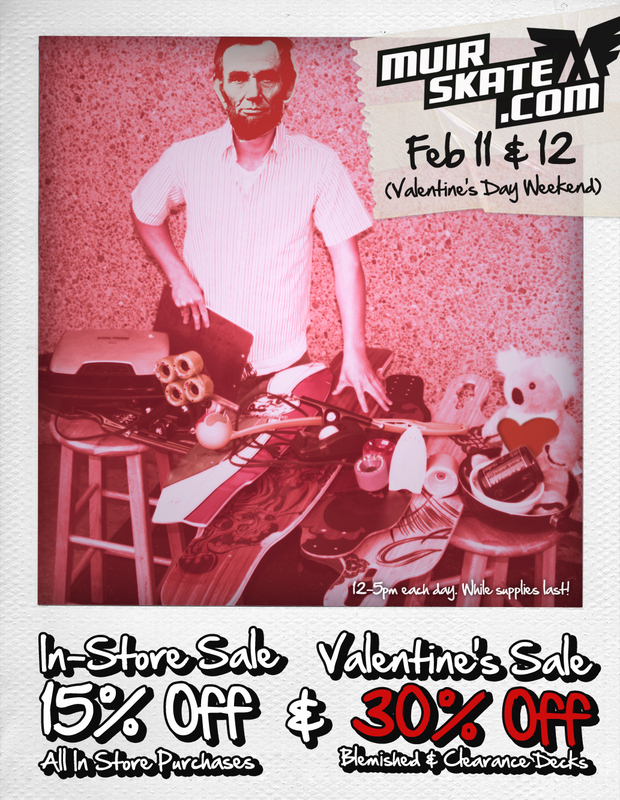 Swing by the warehouse on Saturday or Sunday (February 11 & 12) for great deals on all products! We've got some extra special love for our blemished decks, too! All decks deemed "less-than-perfect" by our crew members will be discounted to 30% off. Everything else in the warehouse will be 15% off. Keep in mind that this is an in-store only sale. (Sorry, non-locals!) If you're not in the southern California area, you should (1) plan a radical road trip or (2) find a SoCal friend to mail you some goodies! The Yard Sale is happening from 12-5p each day, so plan accordingly! Hell yeah! I might have to drop by (I'm working down the street on Saturday morning anyways)...give me a chance to drop by and check out the scene after I work some OT.